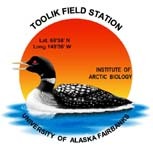 » Water chemistry data for various lakes near Toolik Research Station, Arctic LTER. Summer 2010 to 2014. Decadal file describing the water chemistry in various lakes near Toolik Research Station (68 38'N, 149 36'W) during summers from 2010 to 2014. Chemical analyses were conducted on samples from various depths in the sample lakes either once, or multiple times during the spring, summer and fall months (May to September). Chemical analyses for the samples include alkalinity, dissolved organic and inorganic carbon (DIC/DOC), inorganic and total dissolved nutrients (NH4, PO4, NO3, TDN, TDP), particulate carbon, nitrogen and phsphorous (PC, PN, PP), cations (Ca, Mg, K, Na and Si) and anions (SO4, Cl).